Virtual reality has been taking the gaming world by storm over recent years. VR puts gamers in the world that they are playing in, allowing them to step into fictional and non-fictional environments. The wave of virtual reality devices now available on the market helps gamers enrich their experiences, and it’s easy to become incredibly immersed in the virtual world that you are playing in. Gamers say they are many advantages attached to playing virtual reality games as opposed to conventional titles with the normal gaming chairs. With virtual reality gaming, you are not restricted by screen sizes which means you can see so much more of the environment in question. You can see parts of the space which wouldn’t normally be on your screen simply by turning your head. Virtual reality headsets have been a big part of the market for several years, but now Virtual reality chairs are starting to become increasingly prominent too. With VR, you can live inside of the game and explore the virtual world around you with ease. Those using motion tracker handsets can expect the experience to be even more immersive. What is virtual reality g​​​​​aming? What were the problems with offering VR gaming in the past? What are the most popular VR headsets? 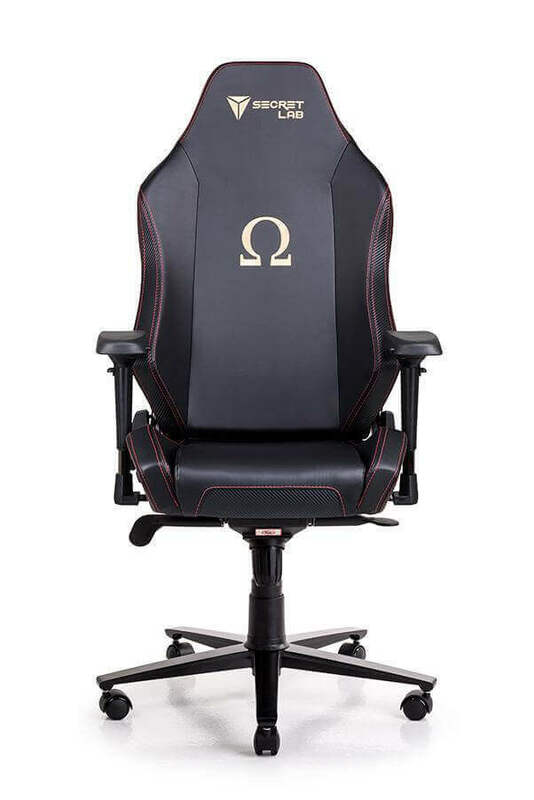 What are the most notable manufacturers of chairs for VR gaming? Virtual reality chairs have been created to solve many of the existing problems with virtual reality gaming, such as motion sickness. This motion sickness can occur when we move on screen whilst remaining still in real life. The latest wave of Virtual reality chairs solve this by allowing you to physically turn 360 degrees. Many chairs also have pedals to give you more control over speed and distance, linking you to the physical world. Many gamers have also started to use VR treadmills which enable them to physically walk. Though some deem these impractical, especially for use in the home, they have proven ideal for scenarios such as training simulations. When you use a VR chair, you don’t have to spend a great deal of time standing, which can be exhausting. Most gaming takes place in sitting positions. 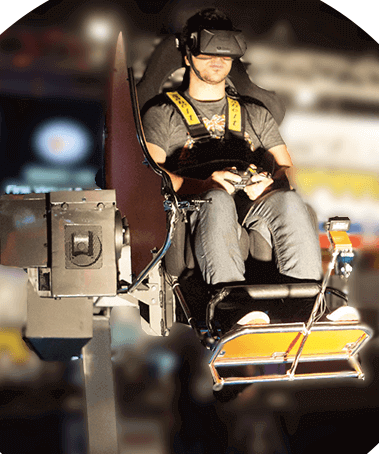 Driving games are perhaps the perfect match for virtual reality chairs, though the chairs are ideal for a wide range of other gaming genres. Using joysticks, steering wheels and other peripherals can make the VR gaming experience even more immersive. Some predict that the VR gaming experience will in future include temperature changes, wind and even smells to add even more authenticity. 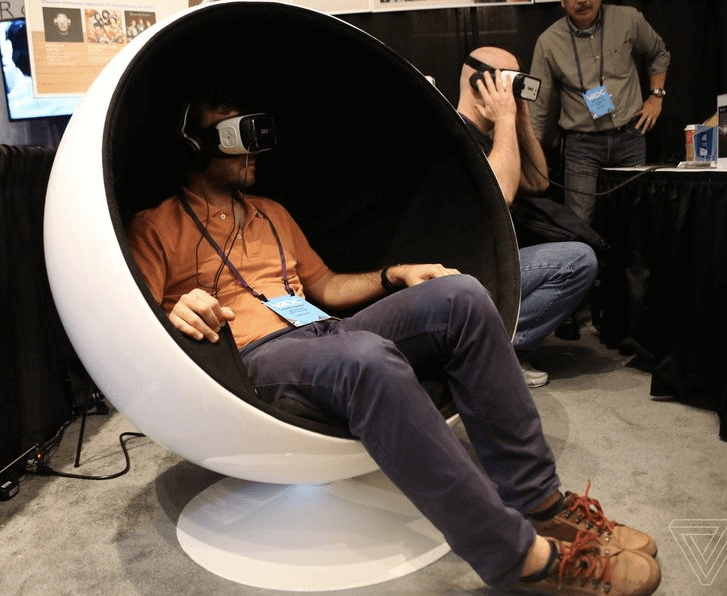 The Roto VR 360 chair is one of the latest and most-anticipated chairs to hit the market. The chair went on sale in February 2018 and was first teased back in spring 2016. The chair has a motorised base, which responds to inputs from virtual reality games and experiences and rotates users when necessary. Concerns about being wrapped in cables were addressed via an innovative passthrough mechanism that means the headset can be plugged into the rear of the chair and the base of the chair connected to a computer. Optional rumble packs are also available to add force feedback, with mounts and surfaces also being on offer for peripherals including racing wheels, mice and keyboards. The virtual reality chair is being marketed as part of “a new era of unparalleled 360 VR immersion”, with its affordability also being a big draw for gamers. The feature that prevents the cord wrapping around you is branded the Cable Magazine and is available as an optional extra. There are several other optional extras available, though you can purchase the chair with all the features intact when you opt for the Total Roto VR package. The chair has been designed for use with all headsets. This virtual reality motion simulator is designed to mimic every motion that occurs in a VR game. The VR chair is capable of spinning its users around 360 degrees to reflect all VR activity, as opposed to the many Virtual reality chair simulators on the market which do little more than rumble and offer mini-movements. The chair can be used with all sorts of advanced gravity-defying titles including many racing and flight-sim games. The manufacturer has teamed up with Ubisoft to increase the number of titles that hardware is compatible with. The VR chair is compatible with a substantial number of VR solutions including numerous wireless controllers and joysticks. MMOne is based in Ukraine and its original prototype featured nearly $50,000 of parts. The chair is capable of rotating on three axes, can move 45 degrees to the left and right, raise by 45 degrees and revolve 360 degrees. The VR chair has been designed for commercial customers, though it may be ideal for some affluent gamers with ample storage space. It’s thought the chair would be a suitable investment for amusement arcades, theme parks and similar environments. The company says it wants the VR gaming chair to be housed in “shopping malls all over the place”, describing it as a “new form of out-of-home entertainment”. Though the price tag of the chair will be prohibitive for many, it offers a rich insight into the potential for home-based VR gaming. The Telepod is the work of Japan-based company Eje and is apparently inspired by the 4D chairs often found in modern cinemas. The VR chair comes in the form of a racing egg and can be hooked up to the Gear VR headphone jack to deliver effects driven by the audio from the game you are playing. Over-ear headphones are built into the VR chair, so you don’t have to worry about losing your headphone jack. The lightweight 3Dof Yaw VR is designed for domestic and professional use and is being marked as the “most compact and affordable virtual reality motion simulator” on the planet. The Yaw VR Pro version of the simulator is designed for intensive use, with the product having been funded via Kickstarter. The manufacturer’s say that Yaw VR will be compatible with all major games on what it says are the “most important” VR platforms. The simulator is just 15 inches high when folded and weighs 33lbs, which means transportation is easy. Offering 360-degree yaw movement capability on its vertical axis, it also delivers 50 degrees freedom on its horizontal axes. It is compatible with over 80 simulator apps and is being tweaked to work with non-PC platforms such as PlayStation VR, Oculus Go and Samsung Gear VR. The simulator works in near-silence, which makes it ideal for those intense nocturnal gaming sessions. In virtual reality gaming, artificial 3D environments are applied to computer games. These environments are created via special VR software and allow users to experience the environment in a highly-immersive, authentic manner. More and more virtual reality gaming hardware is being created all the time. People have been talking about the possibility and potential for VR gaming since video games first became a reality. Until recent years, lag was a big obstacle to providing immersive VR gaming experiences. Nausea and motion sickness were also big concerns, but technology has now matured to the point where such issues are being addressed effectively. Some of the most well-known headsets on the market currently include the Oculus Rift, PlayStation VR and Google Daydream. Many leading headsets have motion sensing controllers and trackers. Whilst some can only be used in stationary positions, others continue to work as you move around a space. Many Virtual reality chairs have been designed and manufacturers being supported by crowd-funding. 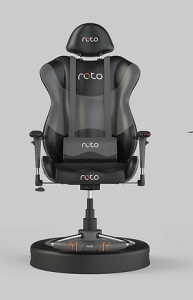 The Roto VR chair we talked about above is one of the most hotly-anticipated products in this area, and it’s likely that many similar VR gaming chairs will appear on the market in coming years. As the years pass by, it seems increasingly clear that virtual reality gaming is much more than just a passing fad. A great deal of research and development is being poured into making VR gaming even more immersive, and it’s likely that there will be substantial price drops for VR equipment (including VR gaming chairs) in coming years as more and more gamers around the world embrace the trend. More and more accident-preventing wireless solutions are being developed, and it’s expected that the quality of games and the controllers used to play them will improve further in the near future. Seating solutions such as the Roto VR and MMone VR gaming chair may well be setting the blueprint for what is to come in terms of VR gaming chairs.